Tourism is in New Orleans’ DNA – so much so that visitor numbers, which plummeted after Hurricane Katrina in 2005, continue to rebound in a very big way. According to the 2015 New Orleans Area Visitor Profile Study, visitor numbers, which dropped from 10.1 million in 2004 to 3.7 million in 2006, reached 9.78 million in 2015. The destination’s tourism infrastructure continues to evolve and expand. The number of restaurants in New Orleans has surpassed 1,400, with 35 having opened this past summer, according a spokesperson for the New Orleans Convention and Visitors Bureau (CVB). Dining options have expanded beyond the city’s famous creole and Cajun cuisine to include, for example, the James Beard Award-winning Shaya, serving modern Israeli fare, and a slew of Vietnamese restaurants, due to a large Vietnamese community. Louis Armstrong New Orleans International Airport also is expanding, with a new terminal under construction. The $826 million, 30-gate facility is slated to open in 2018, New Orleans’ tricentennial year. Meanwhile, airlines have added or increased service into the Big Easy in 2016. Among them are Allegiant Air (from Concord, N.C., and Tulsa); GLO Airlines (from Huntsville, Ala., and Destin-Fort Walton Beach, Fla.); and JetBlue (from Fort Lauderdale). The destination’s tricentennial celebrations will kick off as part of the city’s 2017 New Year’s Eve festivities and continue throughout 2018, with annual events like Mardi Gras, the New Orleans Jazz and Heritage Festival (Jazz Fest), and the Essence Festival (celebrating African American talent) incorporating tricentennial elements. A full list of activities will be posted on www. neworleans4agents.com, the CVB’s dedicated travel agent portal, by late November 2016. “We understand the value of travel agents. 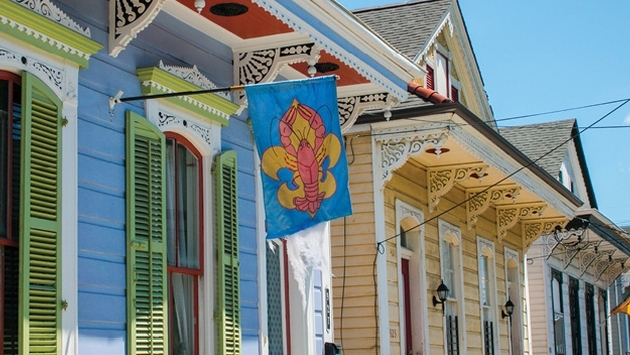 We truly understood their value after Hurricane Katrina, because they were the first ones speaking about the virtues of New Orleans,” says Kim Priez, the CVB’s senior vice president of tourism. Which is why the CVB created the agent portal a few years ago. On it, agents can take a course and become certified New Orleans specialists. The site also is a one-stop shop for information on new developments, events, special offers, fam trips and webinars, says Thu Tran, the CVB’s sales manager who works directly with travel agents. “We want to make it as seamless as possible when they ask about information on our city,” she says. The CVB also offers two fam opportunities each year. “We want agents to experience the city on their own,” Tran says, noting that the individual fams allow agents to bring their families and discover the destination at their own pace. While hotels offer deeply discounted rates for the fams, the CVB provides VIP passes for discounts on attractions. 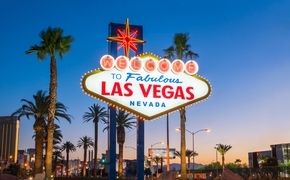 The fams reflect the overall visitor market. Although the French Quarter and downtown remain the city’s biggest draws, many visitors like to go where the locals go. To that end, the CVB also promotes New Orleans’ other neighborhoods, which have their own distinct ambiances and attractions. Among them are the trendy, bohemian Bywater, with its colorful architecture; the lush Garden District, with antique shops and boutiques; Treme, America’s oldest African American neighborhood; and the Arts District, where art galleries, restaurants and museums occupy former warehouses. Among the top visitor markets are groups, including multigenerational families and family reunions, Priez says, adding that many of those families are cruising out of New Orleans. “Cruising out of New Orleans is the No. 1 type of business our agents are booking,” Priez says, referring to oceangoing and Mississippi River cruises. In fact, 83.5 percent of cruisers who responded to a visitor profile study said they stayed in New Orleans before or after their cruises for an average of two nights. “We want to encourage agents to sell two vacations in one,” Tran says, adding that the CVB has posted a list of hotels that offer commissionable packages for pre- and post-cruise passengers on its agent website. Another top market is destination weddings. In all, approximately 350,000 destination weddings take place in New Orleans annually, according to Priez. “If you don’t want to go to the islands or overseas, New Orleans is one of the most exotic cities in the U.S.,” she says. New Orleans is on a roll with new hotels. No fewer than seven hotels have opened in the past year alone. The Four Seasons Hotel and Private Residences New Orleans is slated to open within the next two years. It will be housed in the former World Trade Center building at the foot of Canal Street. In April, the 234-room Ace Hotel New Orleans (www.acehotel.com/neworleans) opened in the Warehouse District, in a 1928 Art Deco building. With 35 rooms, the boutique Catahoula Hotel (www. catahoulahotel.com) debuted downtown this summer in a townhouse that dates back to 1845. In September the 103-suite Fairfield Inn & Suites New Orleans Downtown/French Quarter Area (www.marriott. com/hotels/travel/msyfd-fairfield-inn-and-suites-new-orleans-downtown-french-quarter-area) opened its doors in a building more than 100 years old. The 18-room Henry Howard Hotel (www.henryhowardhotel.com) opened this summer in the Garden District in what was once a Greek revival mansion. In November 2015 the 194-room Hyatt House New Orleans/Downtown (www.neworleansdowntown.house. hyatt.com/en/hotel/home.html) debuted, connecting with the Hyatt Regency New Orleans via a sky bridge. The 108-room Moxy New Orleans (www.moxy-hotels. marriott.com/hotels/new-orleans), Marriott’s first U.S. Moxy hotel, opened this spring downtown. The 106-room Pontchartrain Hotel (800-708-6652) reopened this summer in the Garden District after a major renovation.